Following an initial launch in early November, Schimanski NYE is next on the agenda after already causing a stir in the City that never sleeps. To date they’ve played host to house, tech, and minimal veterans such as Eli & Fur, Edu Imbernon, and Tiger & Woods. Within a month they’ve already established themselves as a must-attend nightclub of New York City and you can be assured that New Year’s Eve will not be any different. For Schimanski’s first ever New Year’s bash they will be bringing in international talent. DJ and Producer Marcel Dettmann will be coming all the way to Brooklyn to join us for one of the biggest nights of the year on December 31. Dettmann is long hailed as a one of the most significant contributors to the modern day Techno scene, and he will be bringing his original sounds to the Williamsburg neighborhood. Dettmann posts a resume which includes a residency at the clandestine and world-renown Berghain club in Germany. He’s recently put together another compilation mix dubbed DJ-Kicks, listen below to get a glimpse of what’s to come on NYE at Schimanski. 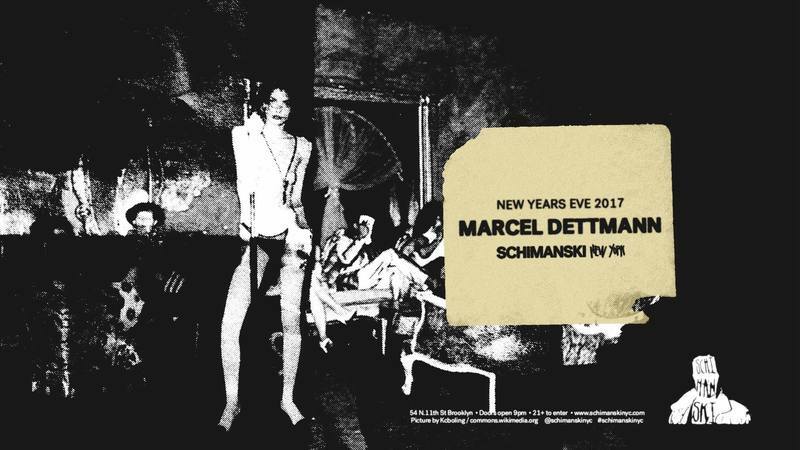 Get your tickets to Schimanski NYE featuring Marcel Dettmann, open bar options included, HERE. Follow Schimanksi for more up to date information on future events on their Facebook, Twitter, and Instagram. You can follow Marcel Dettmann for more information regarding new music and shows on his Facebook, Twitter, and Instagram.